You can repair the grip, shaft, or head. People spend more than a $1,000 for a new set of golf clubs, so you'd be smart to save a large portion of that expense and repair the clubs you have. You will have a set of clubs that have been tailor-made for you and your game, and you will save hundreds of dollars in the process. Decide what you need to repair. 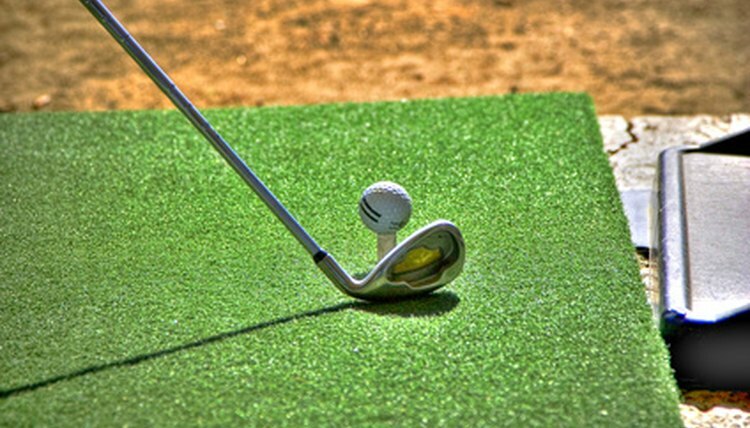 Remember, there are only three elements to every golf club: the shaft, club head and grip. If you have improved your game since you bought your clubs and you are hitting the ball farther, consider replacing the shafts with those that are stiffer. 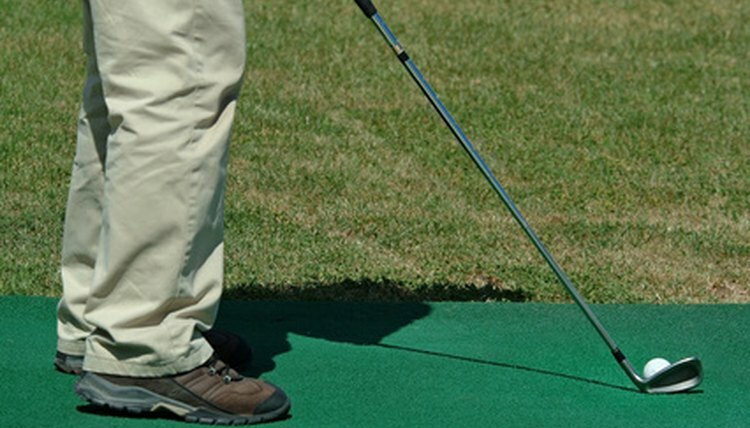 If you are hitting the ball shorter, think about replacing the shafts with softer, more flexible ones. 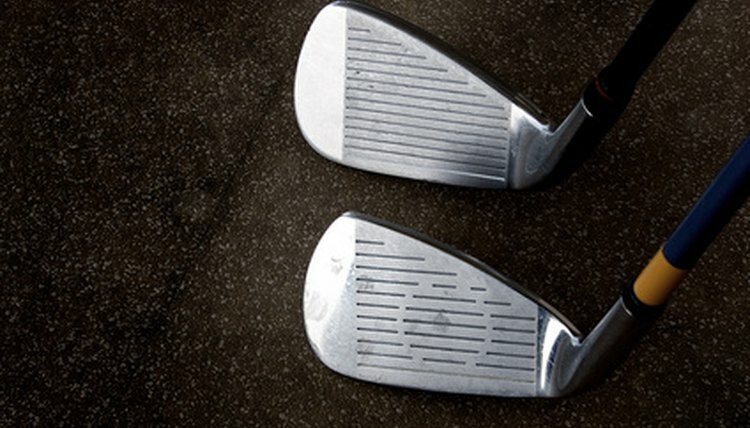 If you mishit more shots than you feel you should, think about replacing the club heads with ones with that have a larger sweet spot and are more forgiving. 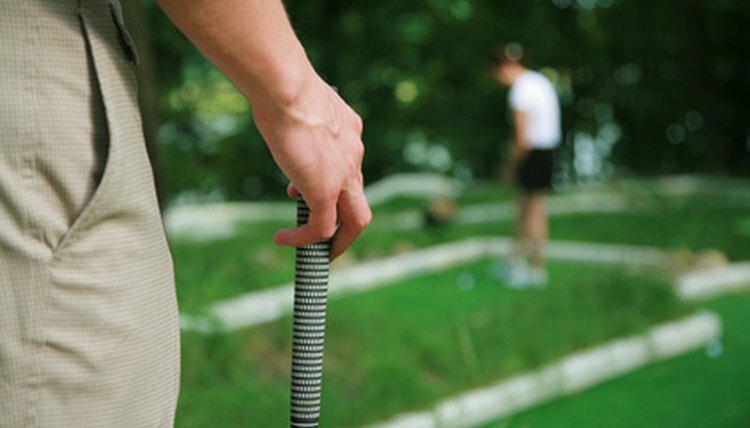 Check your grips to see if they are worn or have gone soft because it might be time to replace them. Replace club heads by heating the hosel, or the connection between the shaft and the club head, until the glue softens and the club head is easily removed. With older clubs, there also is a small screw to reinforce the bond between the shaft and the club head and it needs to be removed. Ream out the hosels with a wire drill bit, then cover the tip of the shaft and the inside of the hosel with epoxy. Insert the shaft into the hosel of your replacement head and twist it to be sure the epoxy covers both. Wait 24 hours for the epoxy to set before you play another round. Replace the shafts. You'll first need to roughen the tips of the replacement shafts and the inside of the hosels. Do so with a piece of sandpaper if the shaft is made of steel. Graphite shafts have a coating that must be removed at the tip before you use the sandpaper. Then, with a wire drill bit, ream out the insides of the hosels until they are rough. Put enough epoxy on the tips of the shafts and the inside of the hosels to completely cover them. Put the shafts' tips into the hosels and twist them slightly to make sure the epoxy is on all surfaces. Cut the shafts to the proper length. Regrip your clubs. Remove the old grips by cutting each, then strip them off. Remove the old tape with a putty knife as well as the remaining residue, first with grip solvent, then with warm soapy water. Cover the area where the grips will be placed with double-sided tape, then soak it with the grip solvent. Pour a little of the grip solvent inside each grip and be sure all surfaces are covered. Eliminate the remaining solvent and push the grips onto the shafts. Because the grip solvent needs about 15 to 20 minutes to dry, you will have plenty of time to make final adjustments.